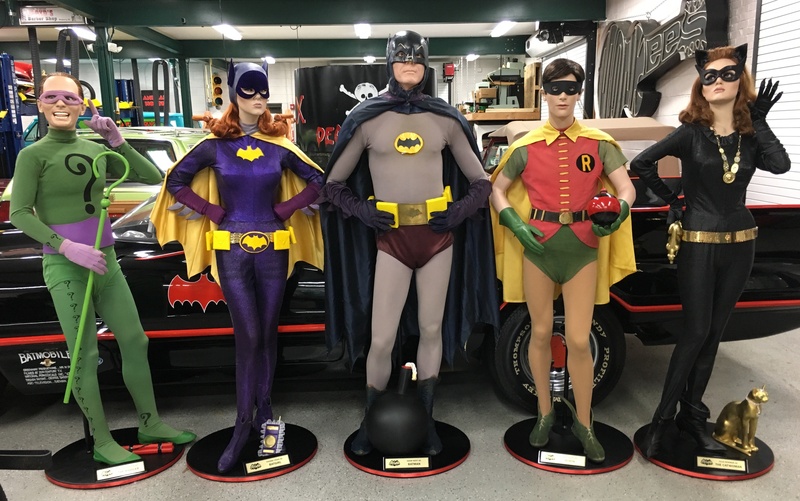 In case you’re just joining us, we’ve been showing off a series of original Batman ’66 costumes owned by an anonymous collector dubbed “Alfred.” It’s an amazing collection that includes all the main heroes and villains, as well as authentic and replica vehicles and assorted props. 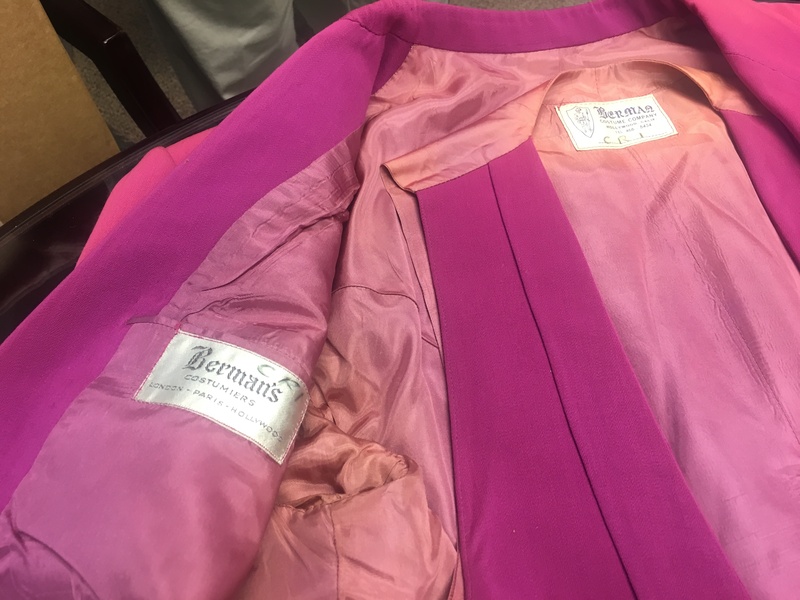 A glimpse at the collection. 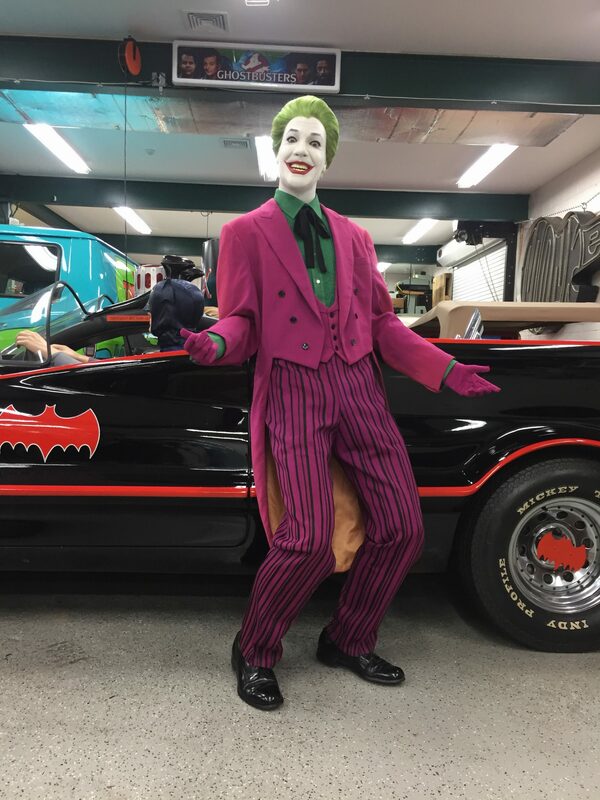 Now, we’re up to the Joker. Mannequin photos by Greg Maraio. 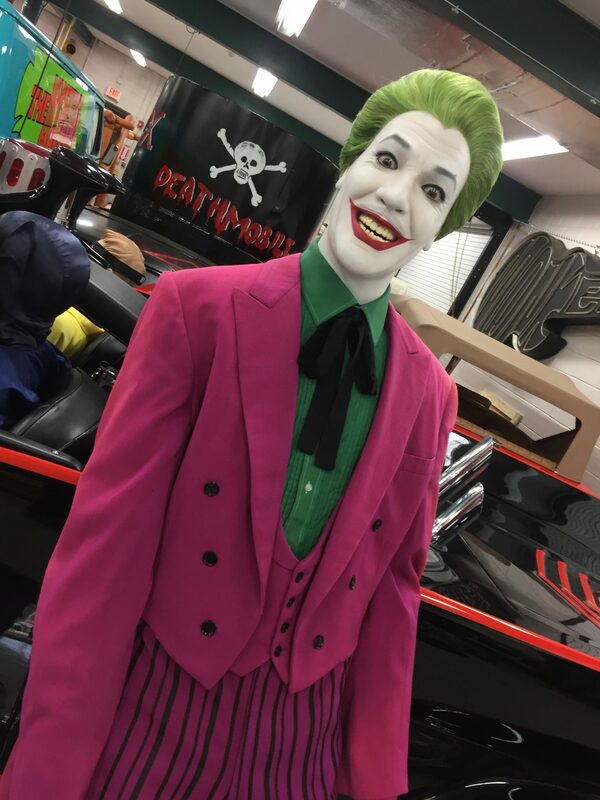 The mannequin itself was created by Greg Maraio, Marc Spess, Daniele Tirinnanzi and David Costa — and we’ll have more on their work soon. 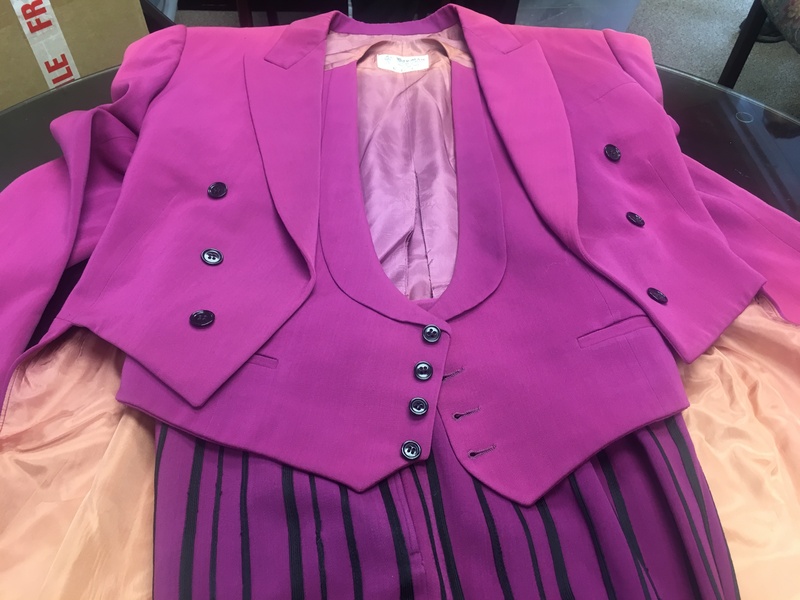 But the costume is an authentic outfit worn by Cesar Romero. 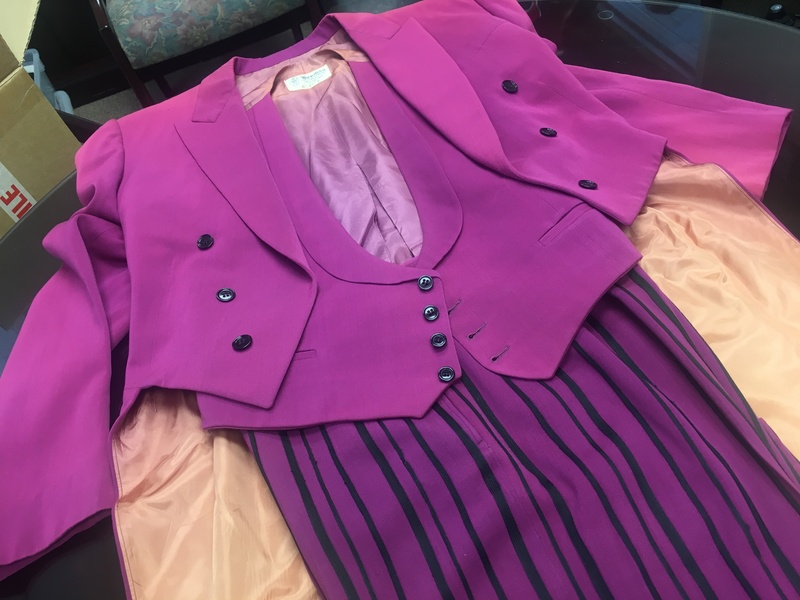 At least mostly — the jacket, vest and pants are originals, but Maraio provided dead-on replicas of the shirt, tie, gloves and shoes to complete the look. 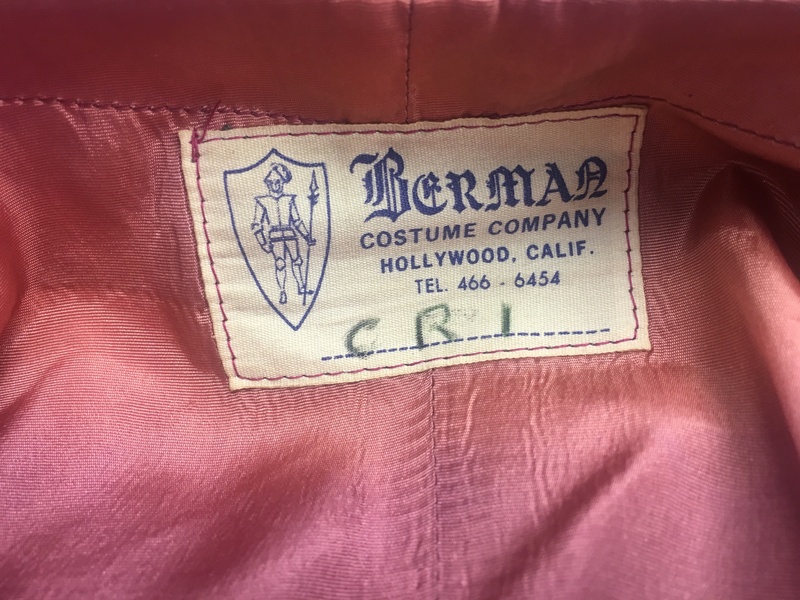 Note the identifying “CR1” notations, signifying Romero’s #1 costume. Costume photos by Dan Greenfield. Copyrighted. The outfit colors seem to vary because of the lighting. 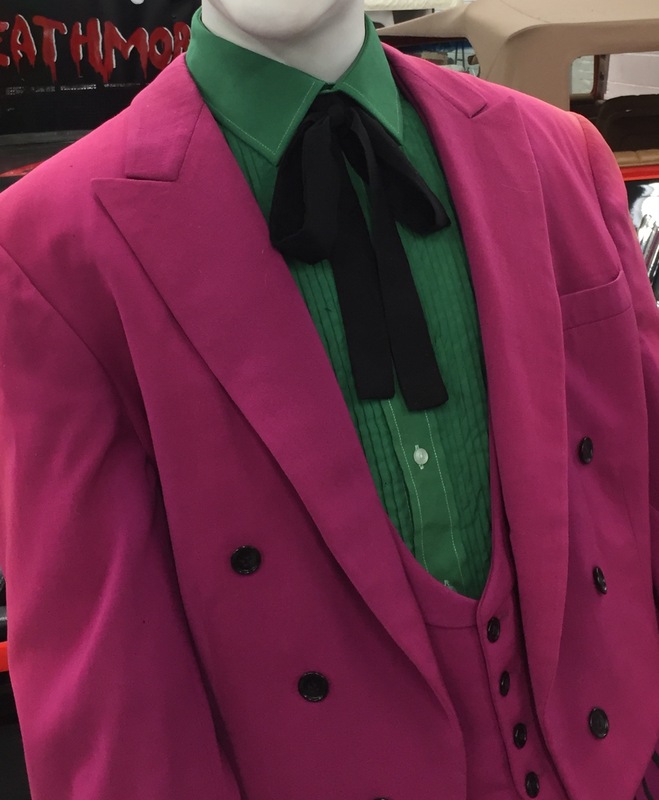 — Dig This UP-CLOSE LOOK at an Original RIDDLER Costume. Click here. 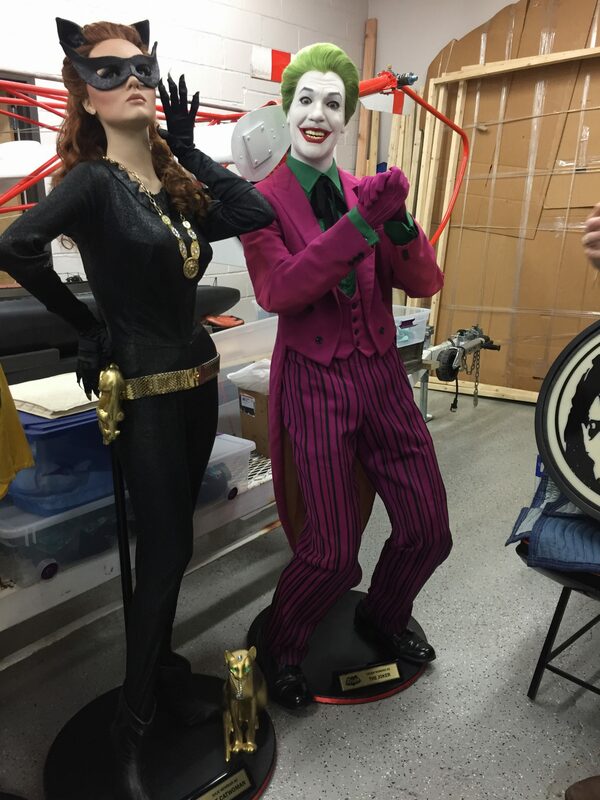 — Dig This UP-CLOSE LOOK at an Original CATWOMAN Costume. Click here. 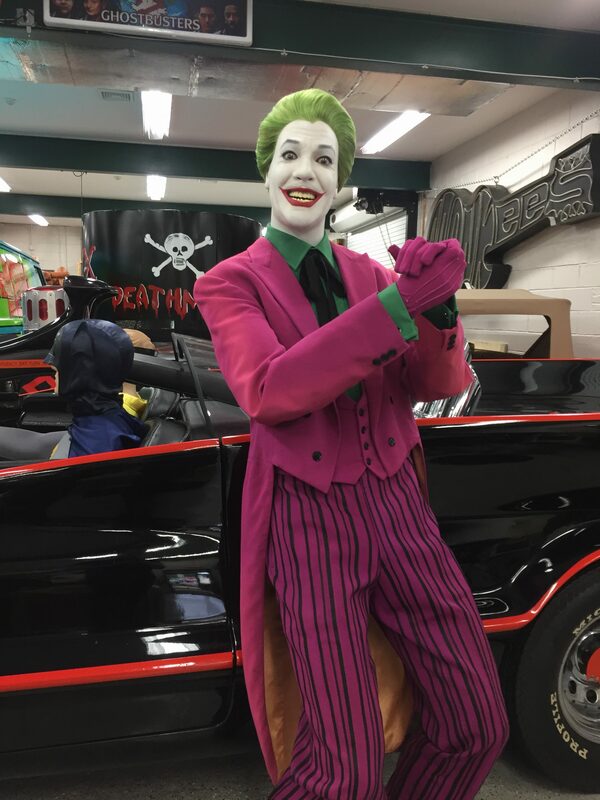 Special thanks to Dave DeVenter (aka BatDave of NJ BatSquad Studios), John Brown of Gotham City Supercars and Greg Maraio for making this possible. That’s a pretty slick outfit! Cool! 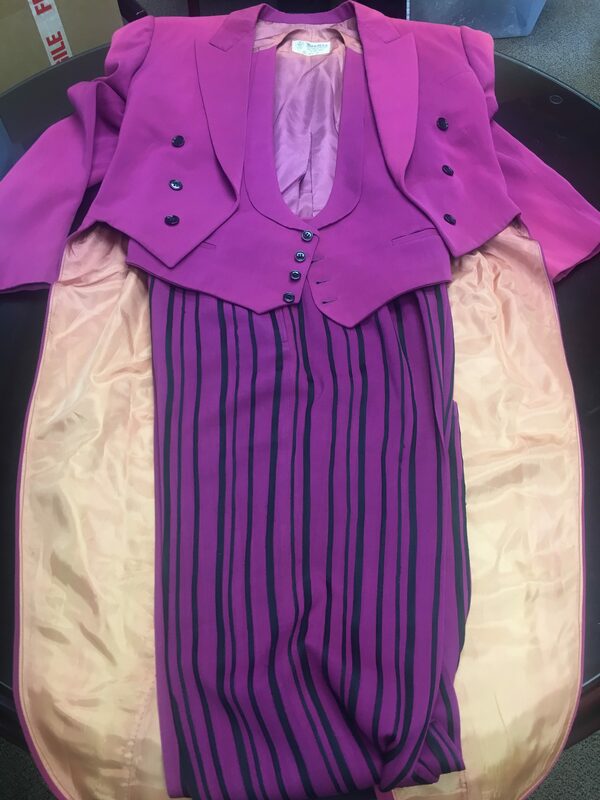 Whatever happened to Mr. Gorshin’s suit from Hi Diddle Riddle?